Making 600 Gr. 50 Alaskan Subsonic Ammo IE: 510 Whisper on the cheap! Making 600 Gr. 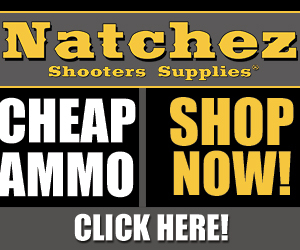 50 Alaskan Subsonic Ammo IE: 510 Whisper on the cheap!… Read More Making 600 Gr. 50 Alaskan Subsonic Ammo IE: 510 Whisper on the cheap! The Super Hi-Point Suppressed/Silenced C9 Modded-Out FLT Style!… Read More The Super Hi-Point Suppressed/Silenced C9 Modded-Out FLT Style! Quick Tip #8 Recycle Your Used Dryer Sheets! Quick Tip #8 Recycle Your Used Dryer Sheets!… Read More Quick Tip #8 Recycle Your Used Dryer Sheets! 300 BLK Cast Bullet For Dummies (NOE 310-225-RN) Start to Finish! 300 BLK Cast Bullet For Dummies (NOE 310-225-RN) Start to Finish!… Read More 300 BLK Cast Bullet For Dummies (NOE 310-225-RN) Start to Finish!